Good thing we went camping last weekend. These pictures are getting me through the week. Hopefully, I’ll have something ‘new’ for tomorrow. 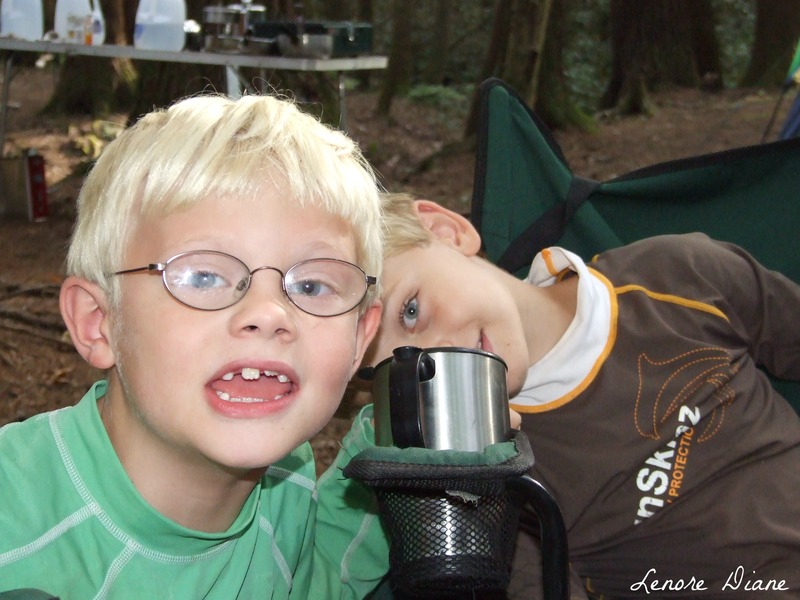 Until then, here’s a picture of my boys mugging it up for the camera while camping. Have you seen my boys prior to today? This may be the first time I’ve shared a picture of them (or the 276th time). Thank you, Patti. I’m glad you feel that way. I don’t recognize them but they’re cute! I’m not surprised you do not recognize the boys, Kim. I rarely bring them outside. They are so precious, Lenore. Never a bad photo of these two.